We loved the Fenix Chronos but it was SO expensive. This is the same but costs less than half as much. But we recommend paying a bit more for the less ugly 5S. 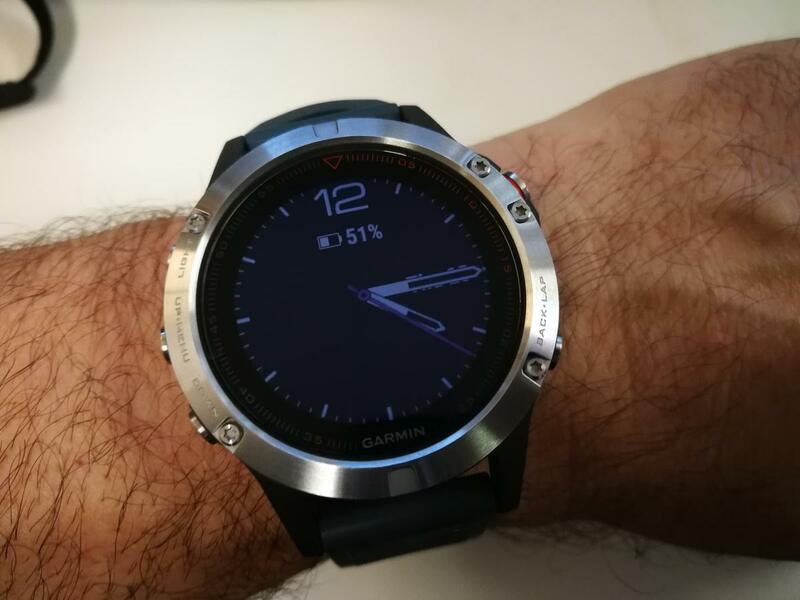 Some months ago, we raved about the Garmin Fenix Chronos executive fitness tracking smartwatch. It outperformed all other fitness devices in what it measured, how it looked and in battery life. It was brilliant. But really, really expensive. Now Garmin has launched the Fenix 5. It’s essentially exactly the same watch but without the luxurious titanium band and face. The battery also appears to have been improved, it lasted three WEEKS in our testing. That will reduce significantly if you use the GPS logging daily but it will still stomp on the competition for which more than one day is counted as good. We’re not going to go over all the excellent apps and features again… you can read about those in our Fenix Chronos review. Here we’ll just note the differences. First up is the price which comes in at $799. Considering the Chronos was $2,000, that’s a massive drop for something which, essentially, functions better. So we approve. This has a great heart-rate tracker… for cardio. It really struggled when lifting weights with the sharp rises and drops in heart rate flummoxing it to the point where it just thought we were at rest the entire time. It’s tricky to work this one out as it appears happy to measure our heart rate, more accurately than most competitors, the rest of the time. It would also be great if they could add the time to the same screen as the heart rate monitor. This may well be the ugliest watch ever made. An almost total lack of styling has gone into the case. There are many different colour variations and straps (see them all here) but you can’t polish a turd. It’s like they forgot to add a cover to the screws which sit there seemingly just to hold the buttons on. They’re not symmetrical and no thought appears to have been expended on the looks in any way – harsh for the only universally acceptable item of jewellery that most blokes can wear. It's not just a hairy arm that makes one wince at this picture. It’s not like Garmin isn’t aware of this either. An ‘S’ variant is available for $150 more ($1,099 if you want a steel bracelet) and the key difference is that it doesn’t look terrible because it’s got a proper case. Garmin Fenix 5S watches... get a MUCH better looking watch for a bit more money. Charging is done by a bespoke USB cable. It doesn’t take long and you’ll only need to do it once in a while so it’s the sort of smart watch that we love. It's waterproof rated to 100m - you can use it for scuba diving (assuming you can easily see the face underwater which, we suspect, may be an issue). This watch is one of the very best smartwatches and fitness trackers on the market. It’s designed to be worn for many days at a time and not just at the gym and when exercising. At $799 it’s not cheap and so, if you’re in the market for something like this, we recommend spending a bit more and getting the Garmin Fenix 5S instead because if watches mean anything at all to you, this one looks awful.